I love projects. I love days. This sounds like the perfect thing for me. Perhaps you feel the same?! I’m going to do 100 days of crochet. I know. It’s gobsmackingly unpredictable of me, right?! Well. No. Not really. The thing is, I am really busting through the crochet projects so far this year, and I want to keep up the momentum. 100 days seems like a great way to do that. I’ve decided that on the days that I am a bit sore in the wrist (which is likely) I am going to do some reading about crochet instead. I think it’s good to plan for contingencies, esp when my wrist has been a bit of a pest in the ache department lately. So here I go. Off on 100 Days. 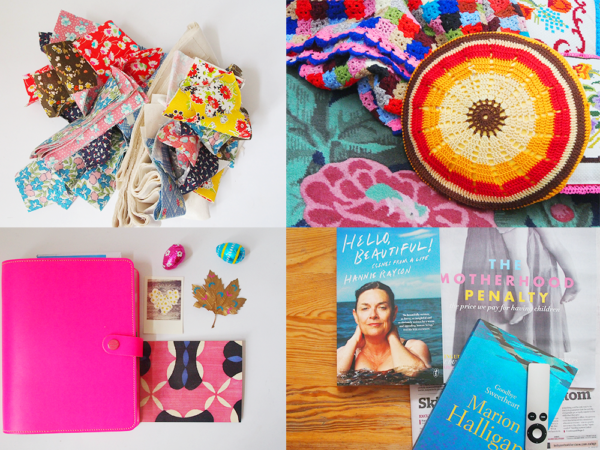 Follow along on my blog (right here!) or on my Instagram if you’d like to see the things I am working on. 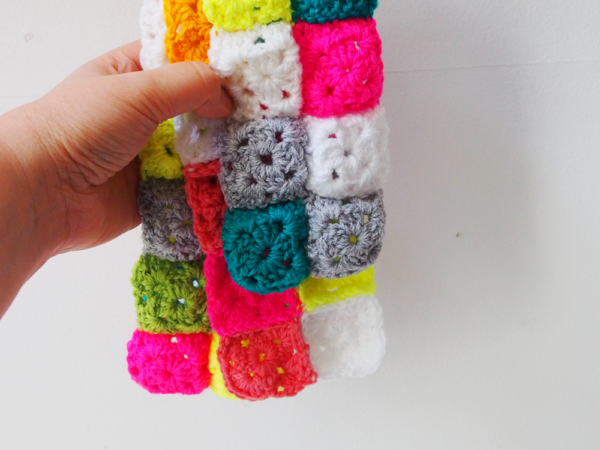 For now it will be this mini square blanket… but I might throw some other things in for good measure. I am not quite sure. More about The 100 Day Project here. Help! I’m searching for 2 metres of fabric printed with MAY GIBBS’ GUMNUT BABIES design. Any pastel colours but NOT the design with RED gum blossoms. Can anyone point me in a direction? Comments to this site will reach me. I’m doing it too! Crochet I mean. I bought yarn and a hook like 2.5 years ago and now I’m FINALLY learning. 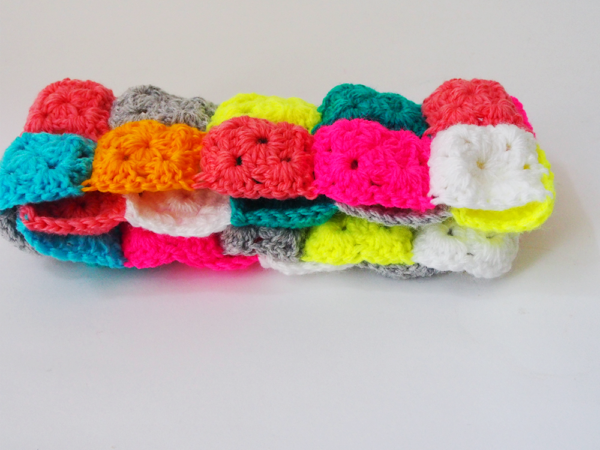 I’m using your Crochet School guides – one day at a time. 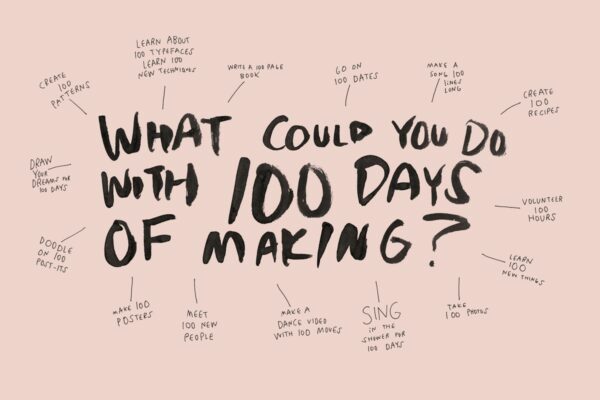 Then ideally I’ll just do a bit every day for the 100 days. It’s exciting and a bit intimidating! Pip, I read this early this morning, when the rest of the household was asleep. Since then it’s been brewing, and has made me think what I could do. I’ve decided to do 100 days of hand lettering practice, because what better way to get some good writing in! Pip – I love this! This is something I can totally do! Also, the photos above… is it going to be a scarf? 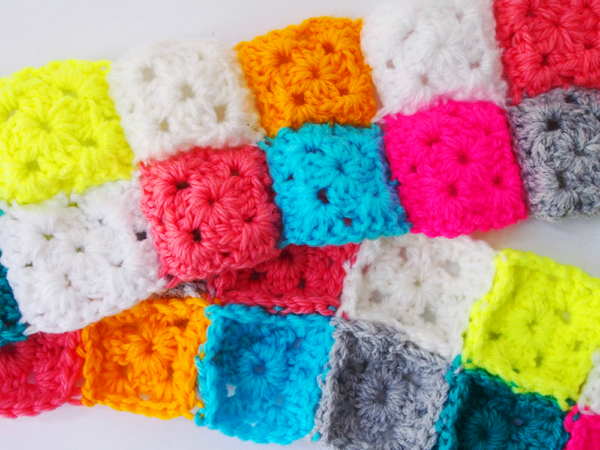 or a big ‘tiny square’ blanket? 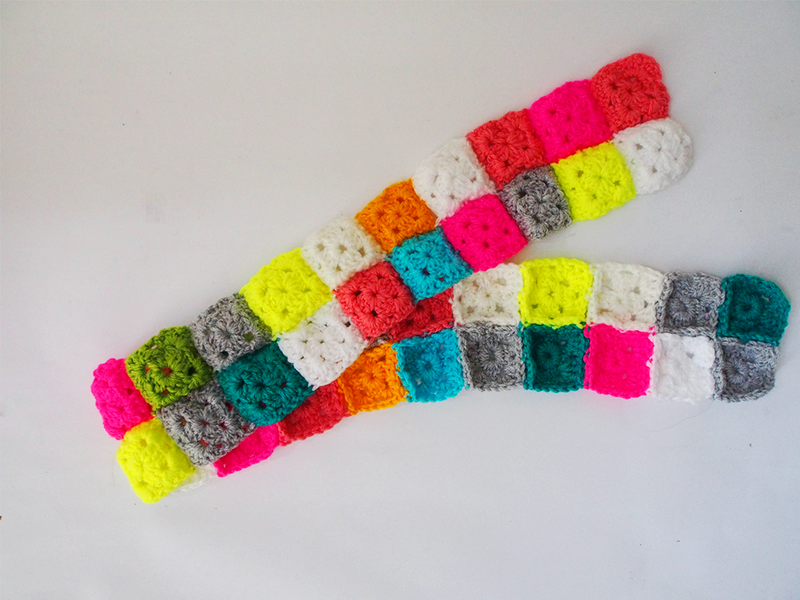 You probably already know about it, but there is a blog called Crochet Concupicience(?) which is full of interesting crochet stuff. 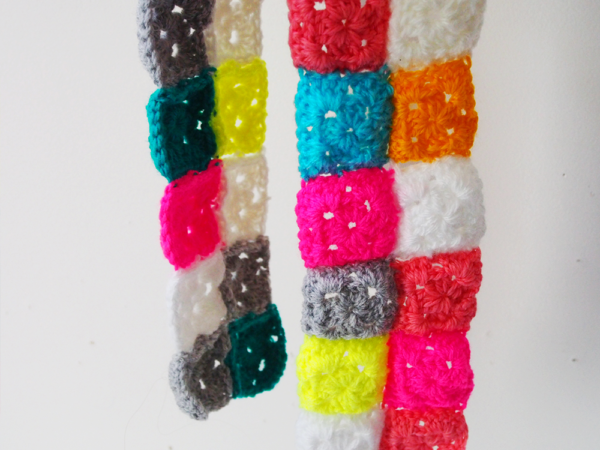 Might be worth a read on the days you can’t crochet! I should do crochet and by the end of the 100 days I might have got the hang of it! I do like those solid color squares. I will be spending my 100 days drawing a different mandala, hoping for a lovely collection by July. Hey Pip … I’ve started this project too. I actually heard about it in a feed over at Blog With Pip. Brilliant isn’t it?! I’m doing 100 Days of Hand Lettered Quotes for lots of reasons. I was actually a bit late and rushed doing my first day though, so it’s not a promising start. I really hope I can maintain it. 100 days of delicious food, even… lol!